The most successful real estate agents are not solely concerned with getting the next listing or selling another house. Instead, they realize the importance of developing long-lasting relationships with their clients and with fellow business professionals, because the networks they create will generate referrals for years to come. They are interested in establishing themselves as respected real estate authorities that the community will repeatedly consult for information, because that will help to build their brand. These goals cannot be accomplished with a single marketing strategy; instead, they require a variety of real estate marketing strategies, consistently applied to develop this strong business model. In our last blog, we explained how to establish an online presence and set up the tools to monitor your internet real estate marketing efforts. The next step is learning about the wide variety of online and offline real estate marketing strategies that you can use to build your real estate agency. Here are a few of our favorite real estate marketing strategies for you to try. Keep in mind that that these marketing strategies are like a diet – they won’t work if you don’t stick to them! Real estate social media marketing provides an unparalleled opportunity for you to engage with a large circle of prospective clients – provided you are willing to make a sustained, consistent effort. Instead of trying to establish a social media profile on every platform you can find, choose just three or four to begin with; we recommend Facebook, Twitter, LinkedIn, and Google +. Create a social media posting calendar, plotting out a set schedule that establishes which social media profiles you will post to each day. Establish profiles in additional social media platforms as you acclimate to your posting schedule. Your real estate blog is content marketing at its best, helping to attract new visitors to your website while ensuring it stays at the top of real estate search engine results for your area. Creating interesting, relevant content on a consistent basis can be difficult and time-consuming if you try to choose your topics on the fly, though; instead, plan your blog content two weeks or a month in advance. A blog topic calendar allows you to create a better mix of blog content, with posts that are more interesting to read (and much easier to write!). Coming up with a month’s worth of real estate blogging ideas is easier than it seems; just mix posts from these four categories: Local Info, Services You Offer, Marketing Information, and Helpful Real Estate Tips. Many real estate professionals are finding success with email newsletters, using them to stay in touch with past clients and turn new leads into signed clients. To maximize the returns from this valuable outbound marketing strategy, you need to send tightly targeted newsletters with highly relevant messaging. Separate your email addresses into buyers, sellers, and renters, and send each group their own individual real estate email newsletter with messaging specific to their situation. Personal referrals remain one of the best sources of leads for real estate professionals. To establish the high level of trust that will make your clients comfortable with referring their friends and family to your care, you need to focus on employing relationship marketing strategies to build relationships rather than just sell houses. Maintain contact with your clients through social media and friendly follow-up emails and calls that do not try to sell your services. While real estate Internet marketing strategies form the cornerstone of your real estate marketing efforts, it is still important to employ offline marketing strategies to encourage potential real estate clients to contact you. Find ways to network and build up relationships to transfer into your online space. There are a number of ways to accomplish this, such as joining local professional business associations, giving free seminars on real estate, and participating in local media interviews. To succeed in this industry, you need a marketing solution for real estate that appeals to ALL the potential clients in your area, not just a narrow subset of the local population. Employing diversity marketing strategies means you take into account the different beliefs, tastes, expectations, and needs of your potential clients when designing your real estate marketing campaigns instead of adopting a “one-size-fits-all” approach. Use web surveys and the data from your real estate social media marketing efforts to get a clearer picture of the concerns of current and potential clients in the area, then formulate marketing strategies that will appeal their individual sensibilities. Your knowledge of the local community is an invaluable marketing asset that can give you a decided advantage over the OTAs that are invading search engine rankings. Real estate customers are eager to learn everything they can about a location before they purchase a new property. Highlight your insider knowledge of the local community with a series of real estate blogs about everything local: best restaurants and shopping, night life, family activities, opportunities for community involvement, school reports, and real estate statistics and demographics from area neighborhoods. For a visual treat, include video tours of local sites of interest. Maximize the effectiveness of your open houses by engaging in some creative event marketing strategies to encourage attendance. If the home is on a route that gets major rush hour traffic, hold a “You could be home now,” open house event during rush hour that invites commuters to take a break from grid lock. Your social media channels provide a number of ways to promote the home that is hosting the open house: record an invitation video in front of the home’s best feature and post to your social media pages, post teaser photos the week before on your Facebook page, and email invitations to your newsletter subscribers. Use your real estate expertise to gain valuable exposure in local print media for you and your real estate agency. Local newspapers and magazines frequently publish articles by guest writers; author some articles that showcase your knowledge and expertise and find local outlets that will publish them. If possible, pitch a multi-part series to maximize the publicity boost. Online real estate marketing campaigns may have taken center stage in recent years, but direct mail marketing strategies remain an effective means of getting your message out, especially in rural neighborhoods. A direct mailer that offers a free property value assessment will attract new listing prospects, drive traffic online to your real estate website, and get your contact information into the hands of prospective buyers and sellers throughout the area. 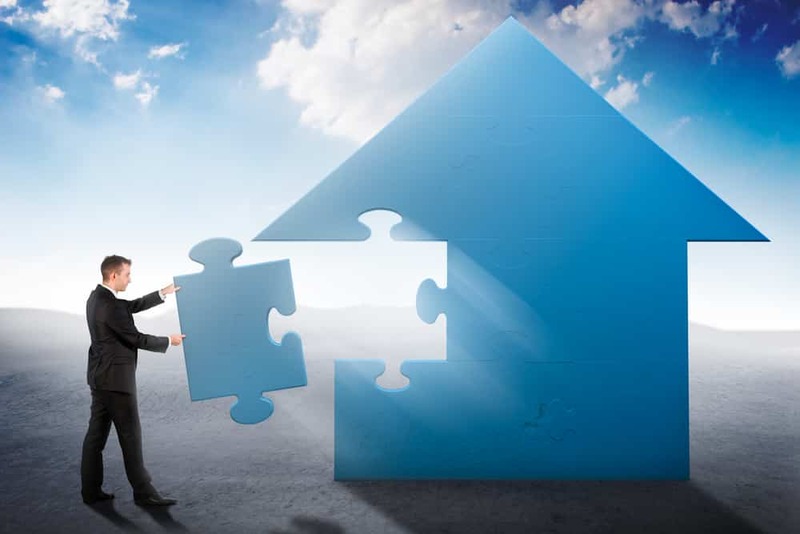 Implementing a comprehensive real estate marketing campaign takes a lot of persistence and hard work, but the results are definitely worth the effort! The real estate marketing professionals at For Sale Marketing are your one-stop shop for expert real estate marketing strategies to grow your business, with responsive real estate website design, social media marketing services, email marketing services, video production services – we even offer graphic design services for your direct mail real estate marketing strategies! Click here for part 3 of The Top 10 Real Estate Marketing Ideas! Contact For Sale Marketing today at 954-779-2801 for complete real estate marketing strategy support services!